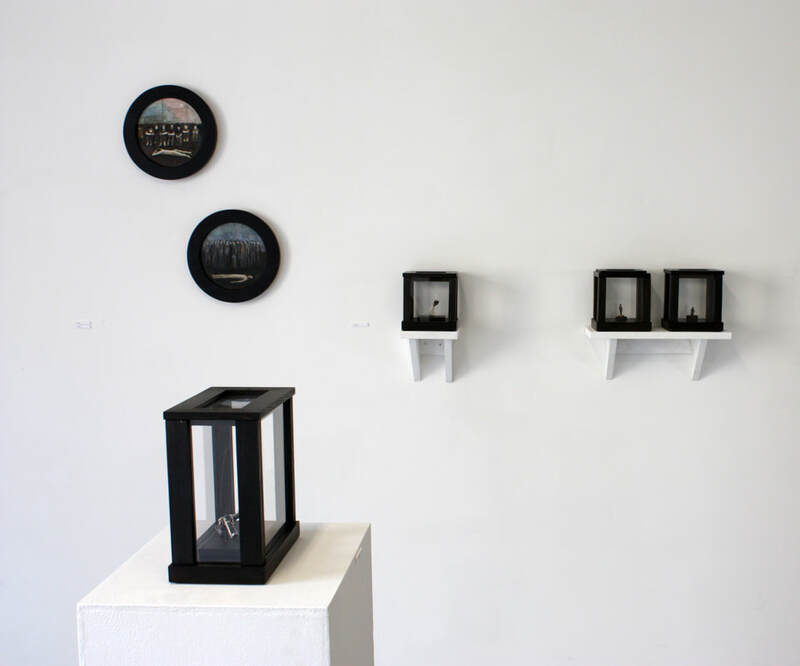 The Miniature Museum is a collaborative exhibition by Elizabeth Shaw and Nick Ashby. 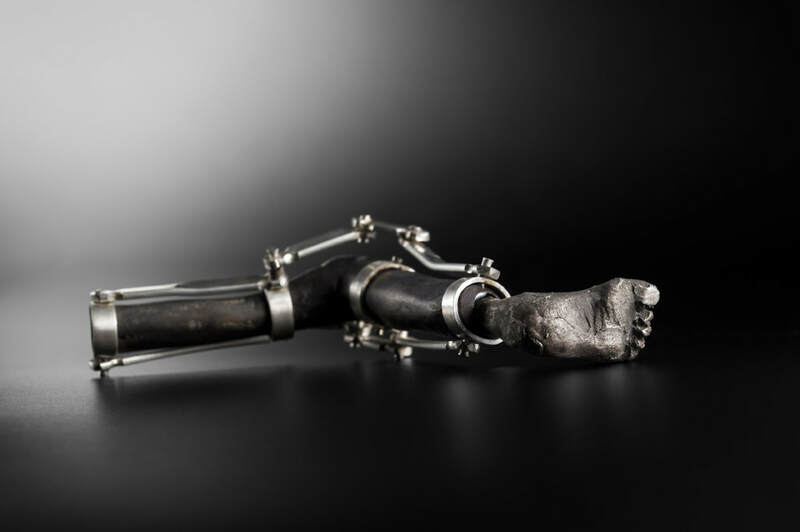 The works presented showcase both their individual practices and the work they have done together, including paintings and small scale sculptures investigating a diverse range of ideas from representing the self to repairing fragments of the body. As Michael Hawker states in his exhibition essay "Ashby and Shaw have condensed their universe into a ‘Miniature Museum’ that is its own intelligible microscopic world. Their museum moves us out of the present to an interior space that finds its inspiration in personal and collective history and the subconscious workings of memory". 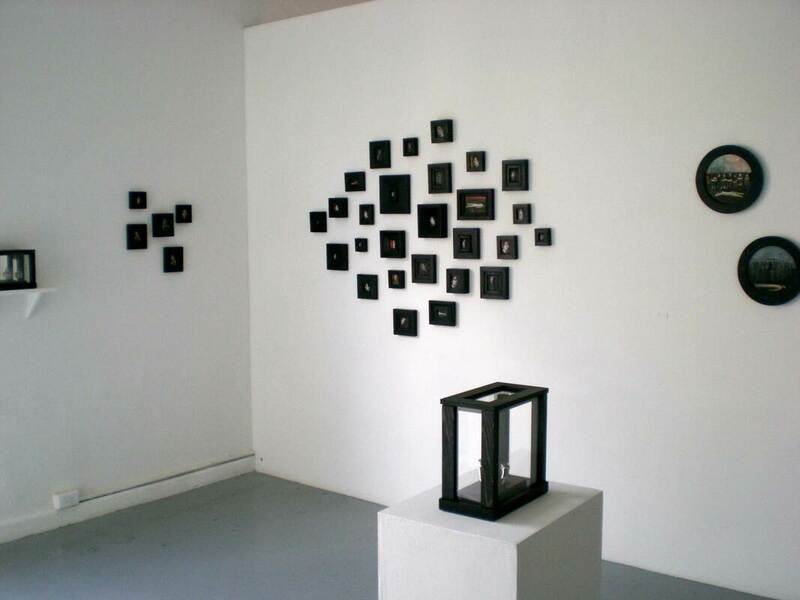 Exhibited first in Melbourne at Blindside Gallery in June 2009 and then later in the same year at Metro Arts Brisbane. In her review in the Sunday Age (June 21, 2009) Penny Modra describes the exhibition as a cabinet of curiosities and that "breezing in and out of this show is not an option : you have to really look or you won't see anything at all". As one would expect, in a Miniature Museum the works are small. Elizabeth Shaw. New Hand, found broken ceramic, reused and recycled sterling silver. Image: Michelle Bowden. 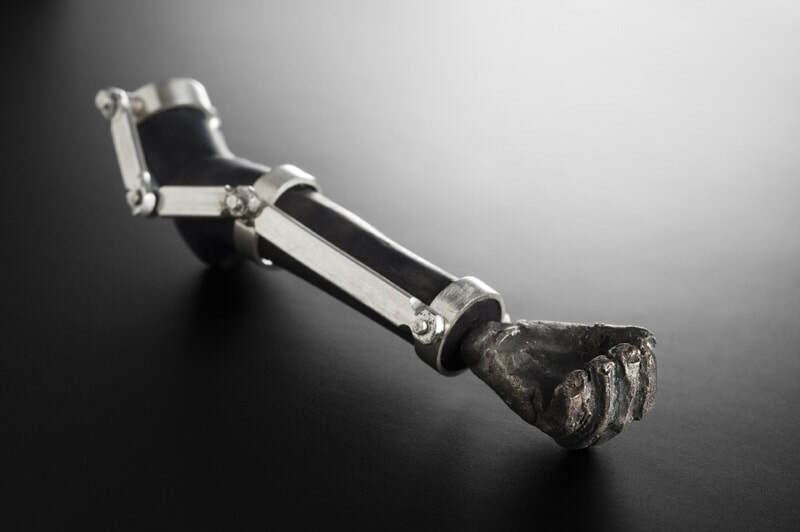 New Hand was the first in the series of works that became my contribution to The Miniature Museum exhibition. 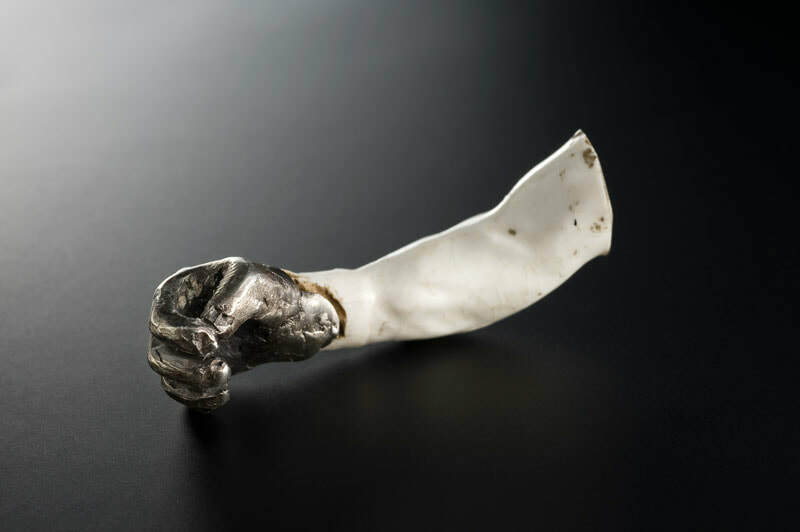 The piece developed in response to a small section of a porcelain figurine found while digging a garden bed. No other parts of the body were found. When washed the glazed surface looked almost as good as new. On its own the arm felt unresolved, so I modelled it a new hand. The withered branches of mock oranges removed to make new gardens became the limbs for a series of works that followed New Hand. Cut in to smaller sections, the branches resembled human limbs, so instead of being added to the compost pile, the small limbs were dried while I worked out what to do with them. Elizabeth Shaw. Foot Calliper (underfoot), reused and recycled sterling silver, mock orange timber. Image: Michelle Bowden. Elizabeth Shaw. Arm Calliper (out stretched, palm up), reused and recycled sterling silver, mock orange timber. Image: Michelle Bowden. Miniature Museum at Blindside. Elizabeth Shaw and Nick Ashby.